Theatre 68, The Backwoods Maze, Wicked Lit, and Heritage Haunt launch their Halloween events this weekend. We're almost halfway through October, and it may seem as if every major haunted house, hayride, and theme park is already open; but wait - there's more! In fact, the weekend of Friday, October 12 offers some of our favorite Halloween events in Los Angeles. Hopefully, you have completed your investigation into the previously available paranormal activity, because it is time to move on to these haunts. Description: Hollywood Gothique has loved this amateur yard haunt ever since we first encountered it a couple years ago. The Backwoods maze seems impossibly long as it twists and turns through a back yard in Burbank. More impressive than its size is its quality - which stands shoulder-to-shoulder with professional attractions, such as the Slaughterhouse at the Knotts Berry Farm Halloween Haunt. For Halloween 2012, the free walk-through attraction substitutes a post-apocalyptic wasteland for the backwoods cannibal crazies of previous years, but the sense of a hand-made environment cut off from modern technology - not to mention civilization - remains. Description: Are you looking for an entertaining way to enjoy Halloween in Los Angeles with your children? 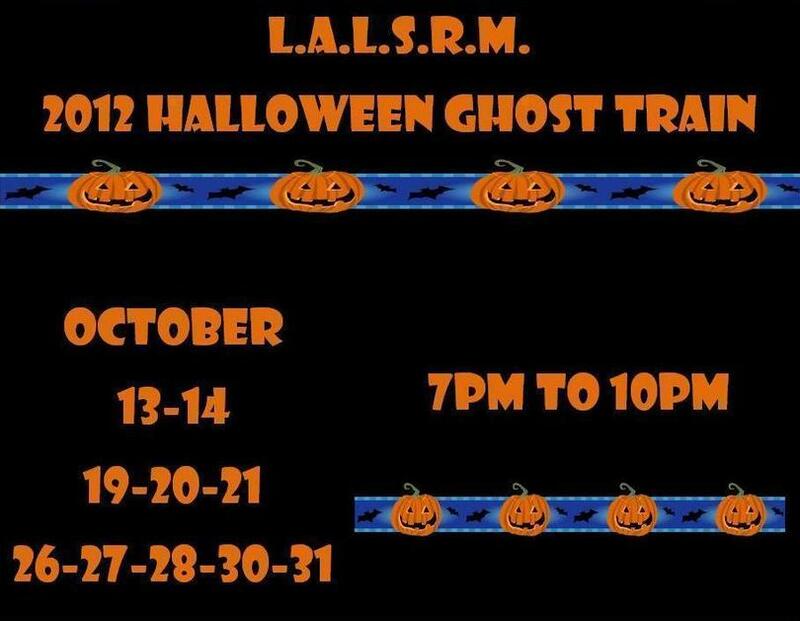 Then head on over to The Los Angeles Live Steamers Ghost Train. The 20-minute ride on the 7-1/2-inch gauge miniature train takes passengers past a variety of decorated scenes - rather like driving by a multitude of Halloween yard haunts packed into a close area. There are a few mechanical "pop up" effects but nothing truly terrifying. The result is spooky in a way that is perfectly safe for young children (although the trains are large enough to accommodate adult riders too). Riders must be at least 34 inches tall and not weigh over 350 pounds. Riders under 15 must be accompanied by an adult. 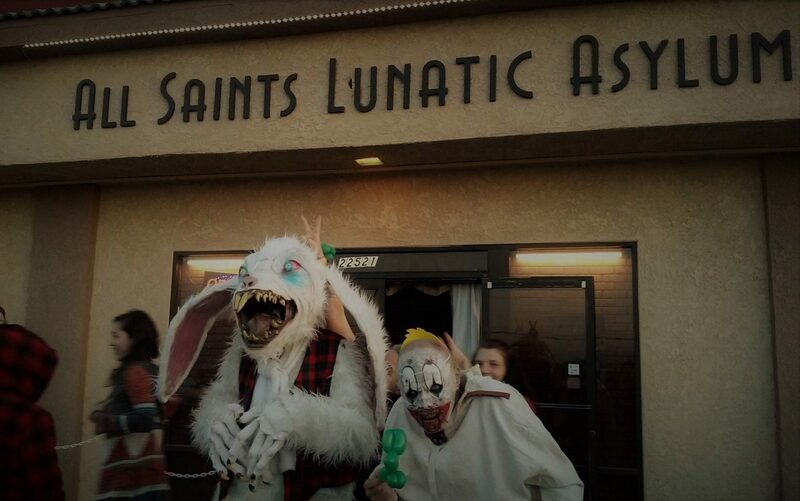 Hours: Kids Matinees on Saturdays and Sundays 1-5pm; Night-time fversion from 7pm to 1am; Halloween from 2pm to 1 am. Description: This one actually opened on Thursday, with a KROQ blood drive. It's a new Halloween haunted attraction: a post-apocalyptic prison where the inmates are "dying to get out." Staged in the abandoned Sears building, in the Hollywood area of Los Angeles, Hell Break L.A. promises a "high-scare, high-startle" experience that is too intense for children under 8. 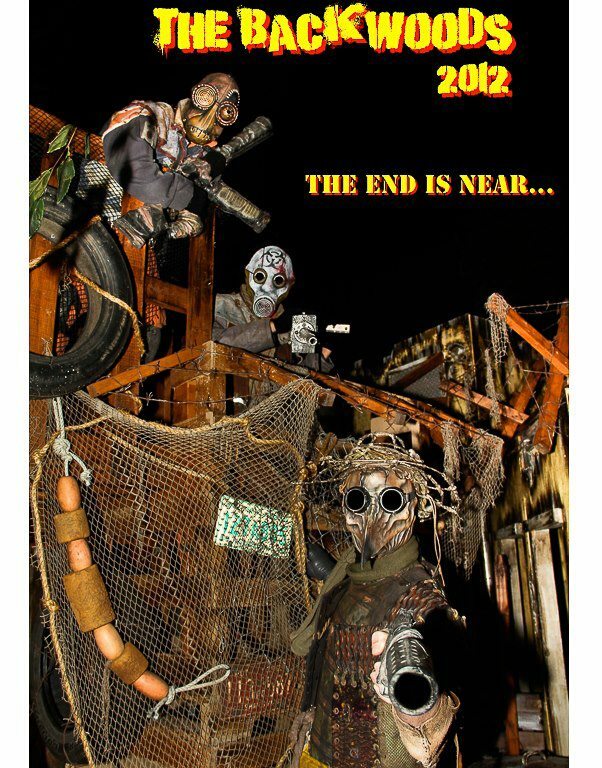 Information on the website is sketchy but there appear to be two attractions, the haunted prison and a haunted maze. We intend to go opening night and report back to you with all the gory details. We're happy to see this one back, and we hope it regains its former glory. 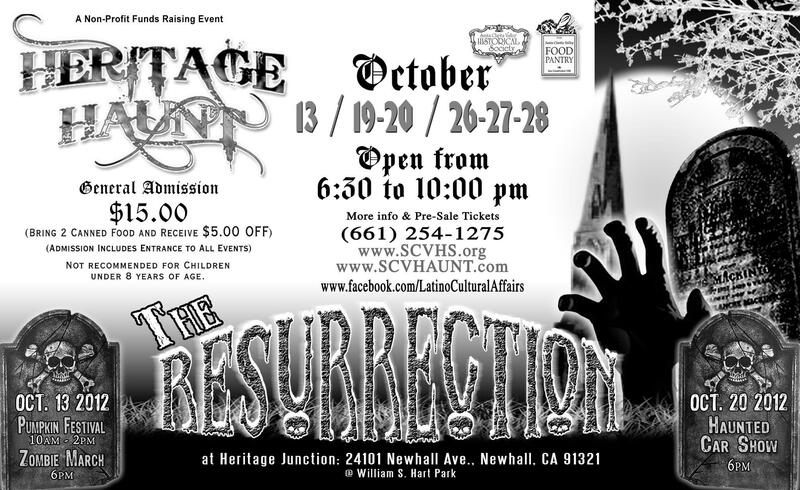 After a weak Halloween season in 2010, Heritage Haunt went on hiatus; it returns with a smaller attraction centered around the Newhall Ranch House - an allegedly real-life haunted location that served as the focus of the Heritage Haunt during its glory days. 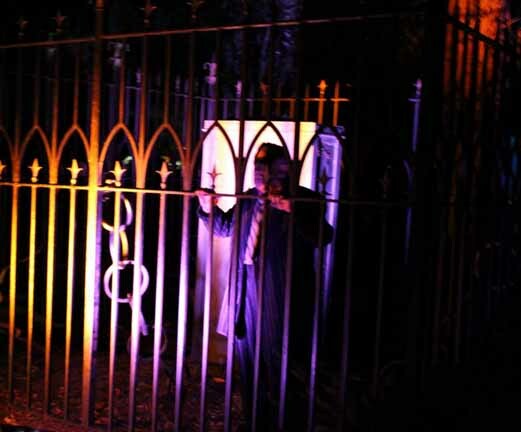 The plan for 2012 is recreate real haunted house experience, emphasizing the authentic atmosphere that made Heritage Haunt stand out at its best. "Our Goal is to be distinctive and a provide unique experience for our visitors," says Ed Marg, of the Santa Clarita Historical Society, which presents the haunt as a fund-raising effort. Description: More interested in history than horror? Then this Halloween event is for you! The Strathearn Historical Park & Museum resurrects its annual Halloween Ghost Tour, in which the souls of the departed return to regale the living with tales of the history of Simi Valley. This is an outdoor tour of historical buildings, with actors in character performing vignettes; this is not a haunted house with monsters trying to scare you. In the darkness of the park at night, the effect is slightly moody but you are more likely to hear screams of laughter than of fear, and the material completely appropriate for children of all ages. Starting every fifteen minutes, the hour-and-a-half walking tours offer limited seating at a few stops. The tour can accommodate wheelchairs and strollers. Tours are limited to 20-25 people, on a first-come-first-served basis. Reservations can be made for groups of ten or more. This is one of the must-see Halloween events in Los Angeles - a real pleasure for scare-seekers. 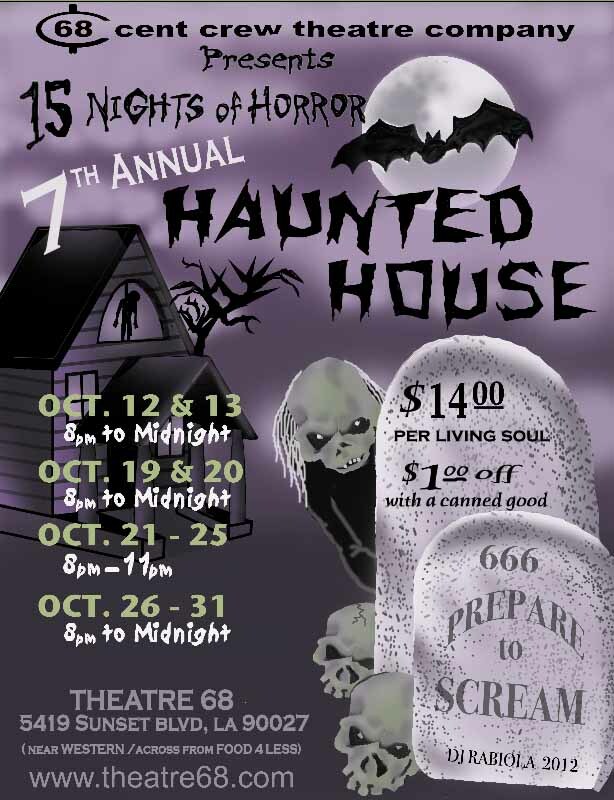 The 68 Cent Crew's annual Haunted House - now in its seventh year of terror - has a budget that is a mere drop of blood compared to the arterial spray of the many Halloween Theme Park Attractions and Halloween Haunted Houses and Hayrides around town. 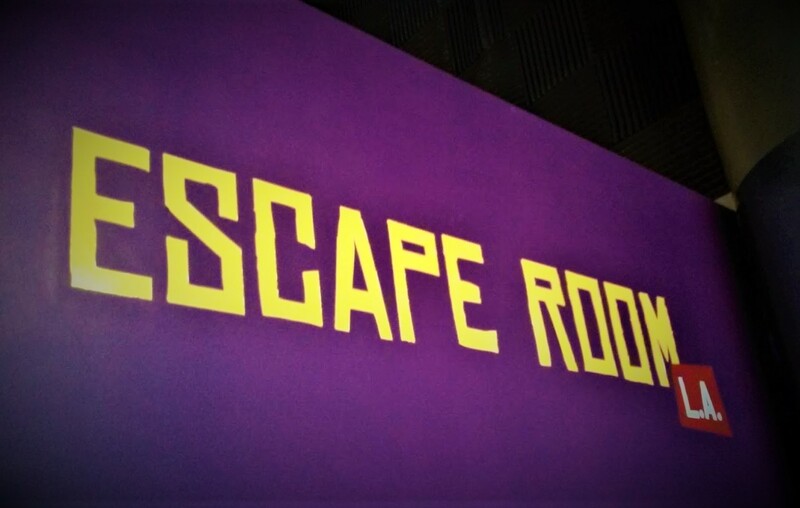 However, Theatre 68 offers an intimate scare experience far beyond Knotts Scary Farm's Trapped maze. A series of vicious vignettes, this short but intense tour through terror directs its dramatic scares straight at you - never will you miss a fright because you were lagging at the end of a crowd; visitors enter by ones and twos, allowing you to savor every shiver. This year's expanded schedule includes fifteen nights of Halloween horror, with performances on October 12-13, 19-31. Description: The Wicked Lit Halloween Theatre Festival offers a more subtle form of shiver, based not on haunted house shocks but on dramatic tension. Their gimmick is that they stage three short plays on the grounds of - and within - an actual mausoleum, creating an eerie ambiance that will have you shuddering as you follow actors down dark corridors and into creepy crypts. This year's trio of morbid melodramas, all adapted from classic literature, include: Wake Not the Dead - Johann Ludwig Tieck’s vampire story, about a man willing to do anything to resurrect his first love; The Dead Smile by F. Marion Crawford, which involves a horrible family curse, spirits from the past, and a disfigured, manipulative parent attempting to keep two young lovers apart; and Count Magnus by M.R. 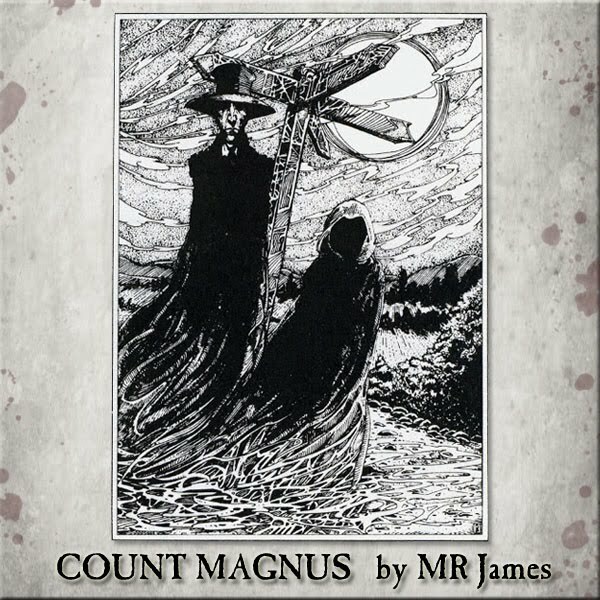 James, about an unfortunate British travel writer investigating rumors of a long-dead nobleman who used to terrorize the countryside with his violent sense of justice. Description: Haunted Midnights actually launched on Wednesday, but we don't to overlook it just because it didn't wait for the weekend. 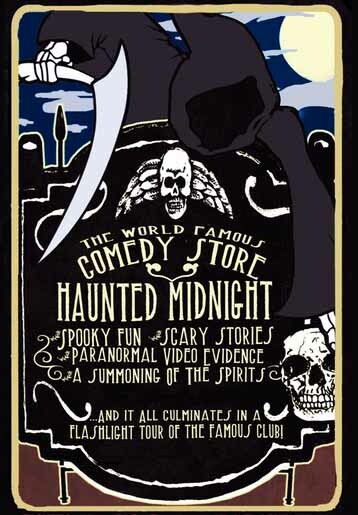 The Comedy Store - which claims to be renowned as "one of the most haunted places in Hollywood" - promises a ghostly experience unlike any other available in Los Angeles, with first-hand accounts of paranormal visitations, video footage of psychic investigations, and a behind the scenes flashlight tour through the spooky locations (such as the basement and other haunted spots where ghosts are said to have been seen) - all wrapped up in the standard stand-up comedy style, courtesy of a ghoulish master of ceremonies. Please note: This year, Haunted Midnights moves from Fridays to Wednesdays and starts an hour earlier - at 11pm.